“Velvet Buzzsaw” is a horror comedy that is neither horrifying nor funny. It’s a particularly disappointing film on a number of levels, not the least of which is its delightfully bonkers premise. The assistant to a high-profile art agent discovers a bevy of beautiful, transfixing paintings in her recently deceased neighbor’s home. Realizing their potential selling point, she and her boss decided to sell them for a profit. But there’s something off about the paintings. Indeed, the spirit of the artwork’s dead creator seems to be haunting, and eventually killing off, those who try to sell his works. Over the course of the film, a variety of shallow, cynical, money-driven members of the art world are killed by the creative works around them. Unfortunately, premise aside, very little about “Velvet Buzzsaw” is all that creative. Writer-director Dan Gilroy shies away from the gleeful absurdity of his premise, instead presenting the film as a straight-faced drama which, almost incidentally, features paintings coming to life to commit murder. He strives to craft an argument against viewing art in terms of commercial value, but his satire lacks sharpness. His inability to build suspense means the film isn’t scary, further weakening his message; and most baffling of all, he forgets to actually defend the value of art. In Gilroy’s defense, he at least gets his message across clearly. His characters populating the art world, including critic Morf Vandewalt (Jake Gyllenhaal, deserving better), gallery owner Rhodora Haze (Rene Russo), and her rival gallery owner, Jon Dondon (Tom Sturridge), are all terribly unlikable, obnoxious people. When they begin to bite the dust, the point is rather obvious: selling art for profit is immoral. Yet most of Gilroy’s satire is dull, lacking the silliness or absurdity to properly sell his message. His characters may have wacky names (Morf is a personal favorite of mine), but they remain too grounded. The art gallery owners are obnoxious, self-centered sellouts, but not humorously so. You can practically imagine them as real people, albeit the worst of the worst within the art world. They’re caricatures, but not cartoons; they’re only one or two degrees removed from being real people. None of them are very funny as a result, dulling Gilroy’s attempts to mock his targets. The same failure to exaggerate effectively extends to Gilroy’s direction. He seems afraid to embrace the screwy nature of his story, presenting everything in the most realistic way possible. His camera shows the narrative events unfold in a matter of fact manner; he does not try to amp-up the tension or ridiculousness when a character is murdered by an art work. In more ways than one, “Velvet Buzzsaw” should’ve taken inspiration from Paul Verhoeven’s “Robocop,” a movie with a similarly silly premise and satirical undertones. But Verhoeven didn’t try to present “Robocop” as a serious drama; on the contrary, he embraced the fundamental ridiculousness of the title, using B-movie aesthetics to deliver a harsh critique of corporatism and violence. It’s funny and effective, something that “Velvet Buzzsaw” aspires to be but never is. Let’s compare examples from the two films. Early in “Robocop,” a board meeting goes horribly awry and ends in the death of an employee. The company was trying to demonstrate their new law-enforcement robot, but a glitch causes it to repeatedly and violently shoot a man. People look on and scream in horror as his body is riddled with bullets. The CEO of the company (a crotchety, old white man, as one would expect), laments the failed demonstration, as the company is set to lose a lot of money over their failed experiment. The scene is exemplary, a perfect example of both dark humor and sharp satire. The message is clear: Corporations care about profits over human lives. The narrative of “Velvet Buzzsaw,” unfolds in a similar manner. Characters sell the cursed art and they are violently murdered. Their sin was that of commercializing art, and their punishment was the loss of their life. At least on a basic story level, the two films operate similarly. Where they divulge is in the presentation. The aforementioned scene in “Robocop” is extremely over the top. The victim is shot over and over again, with obscene amounts of blood flying out of his body, which is knocked onto a 3-D plastic model of a city; people around him scream in utter horror as the scientists present struggle to stop their monstrous creation. All of this is contrasted with the grumpy demeanor of a CEO who’s worried about losing some money. “Velvet Buzzsaw,” is comparatively tame. Yes, people die creative deaths at the hands of the art, but these supernatural demises unfold as though they were merely natural. The deliberate, campiness of “Robocop” is nowhere to be found, and neither is the satirical bite. The problem with the film’s presentation extends to its horror elements, which are similarly muted, and unfortunately uncreative. Gilroy directs as though he’s never seen a horror film but has had one described to him. Every kill has all the basic elements you would expect: A character is wandering by themselves and begins to hear unusual noises, or they hallucinate strange images, or a movie projector turns on all by itself, and refuses to turn off even when its unplugged. It’s clichéd, to be clear. Little of the possibility of murderous art is explored. Gilroy instead expects us to settle for death by strangulation, or neck-snapping. Needless to say, death-by-drowning-in-a-Monet-water-lily would’ve been more entertaining. His inexperience in the horror genre is blatantly clear, he goes for the easiest deaths, and barely even tries to build suspense before them. Still, the most utterly baffling aspect of the film is Gilroy’s failure to actually defend, or even properly define, the value of art. So much time is spent on the obnoxious protagonist’s love lives, greed, and eventual demises that Gilroy never makes the case for art for art’s sake. The closest he comes is his decision to leave some characters alive, specifically those who reject the world of art commercialization. (The other thing he surviving characters have in common? They’re all played by talented actors, including Daveed Diggs, Natalia Dyer, and John Malkovich, who all look understandably bored). But an argument against commercializing art does not a defense of art make. Perhaps confusing the two, Gilroy decided to present his high-concept film as a straight-faced drama, thinking he was making a serious case in favor of valuing art on its own right. It’s not necessarily true, but it’s the best way to make sense of Gilroy’s dull writing and direction. 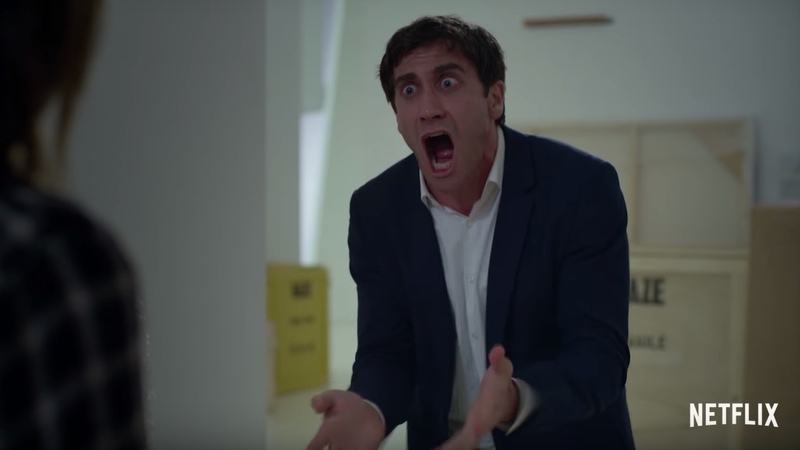 “Velvet Buzzsaw” is never a truly terrible movie. To his credit, Gilroy is a competent writer-director who understands the basics of filmmaking and cobbles them together. His star-studded cast may have to struggle with mediocre material, but they’re still the charismatic stars we all know and love. There’s even the occasional laugh to be had. On the other hand, Gilroy falls astonishingly short of every single one of his ambitions: His message is sloppily told, he can’t build suspense to save his life, and his satire isn’t sharp. 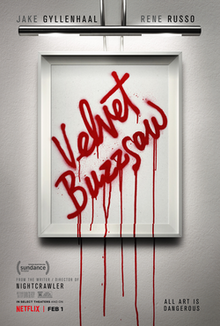 I can’t say that “Velvet Buzzsaw” is a bad movie, but it is certainly a failure.